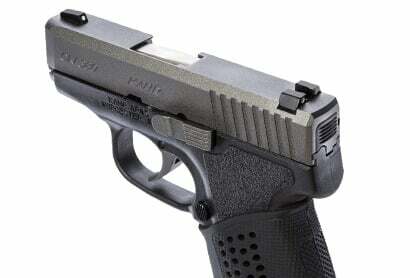 The Kahr Value Series has the combination of features that makes them the best Concealed Carry Pistol in the market. 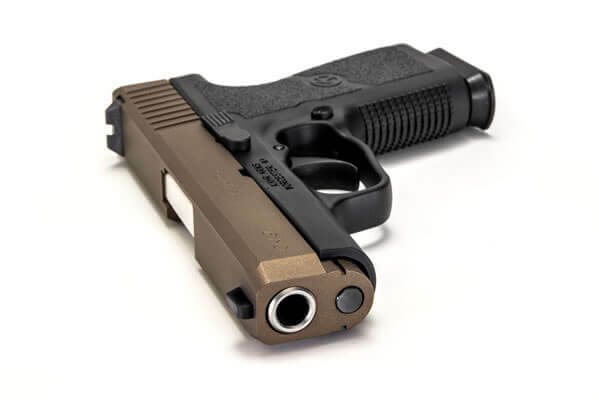 The Kahr Value Series have the ideal combination of stopping power and shooting comfort, and is smaller, thinner and lighter than competitive brands. The Value Series’ natural point of aim and low-felt recoil make them the ideal guns to shoot and carry. The introduction of innovative manufacturing processes in the production of the Value Series represents an unrivaled value in USA made pistols. 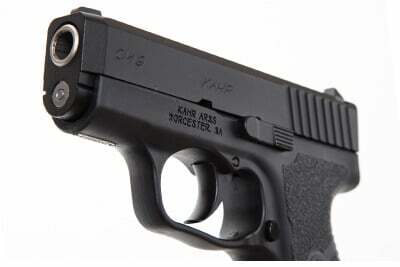 Kahr Arms is pleased to offer their smallest model in the Value series—the CM models. 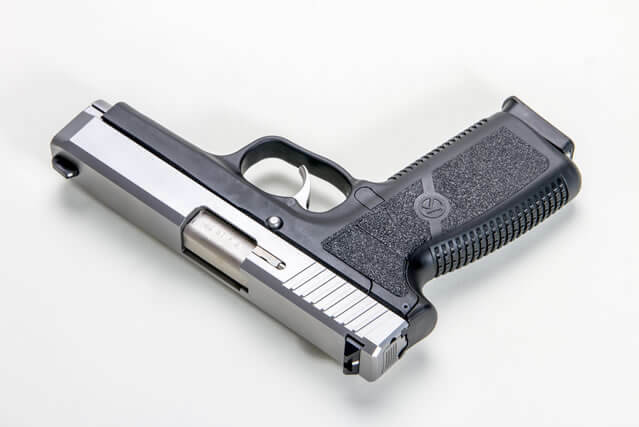 The CM models’ slide is only .90 ~ .94 inch wide and machined from solid 416 stainless slide with a matte finish, 3 inch barrels and offered in three calibers, each gun is shipped with one stainless steel magazine with a flush baseplate. Magazines are USA made, plasma welded, tumbled to remove burrs and feature Wolff Gunsprings. 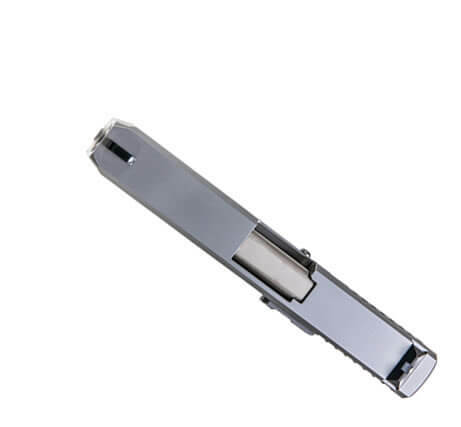 The magazine catch in the polymer frame is all metal and will not wear out on the stainless steel magazine after extended use. Kahr offers the CM models at a great value price but did not compromise on the features, accuracy or reliability found in all Kahr pistols. 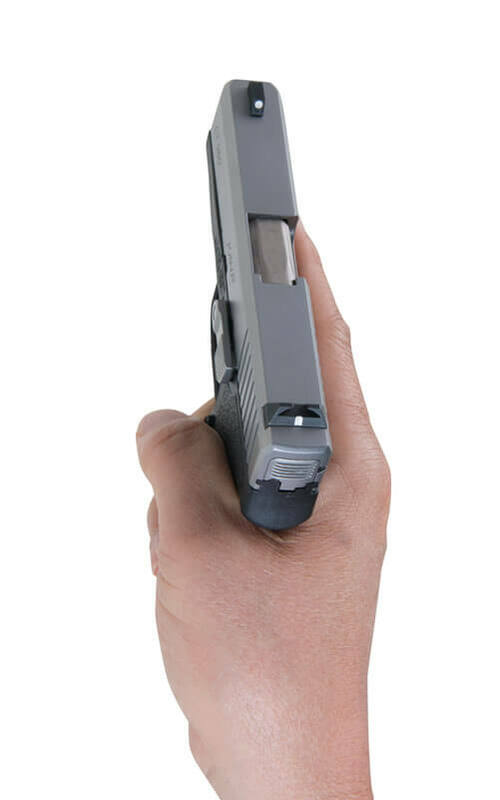 The Kahr CT9093, CT4043 and CT4543 feature a full-size polymer frame with a matte stainless steel slide and white bar-dot sight configuration. 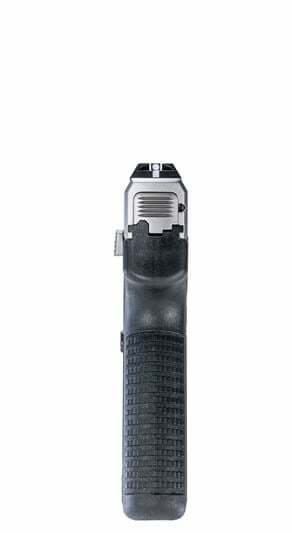 The CT models have a 4 inch barrel, overall length of 6.5 inch, height of 5.13 inch and a slide width of .90 ~ .94 inch. They weigh approx. 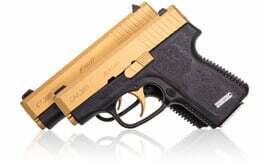 22 ~ 23 ounces with the magazine, making it very slim, lightweight and perfect for concealed carry or home defense. 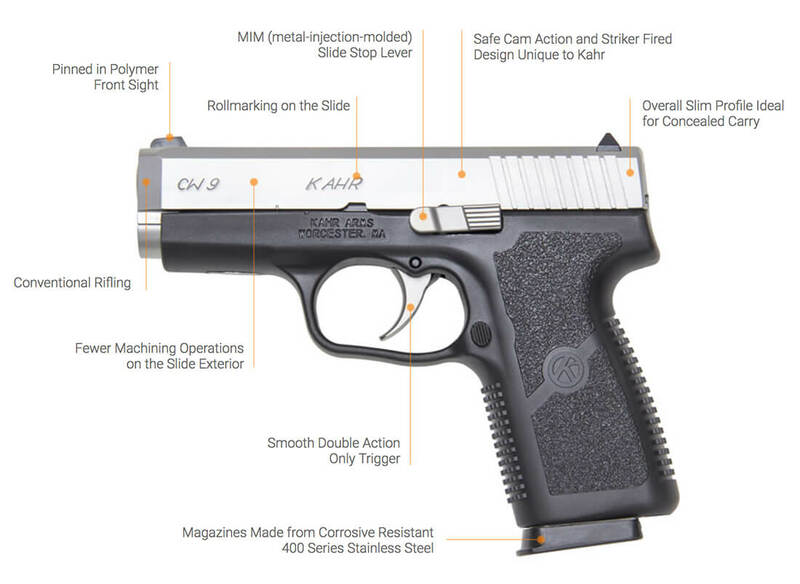 All the Kahr Value Series feature Kahr’s seven patents and industry-leading slim and clean single stack design for concealed carry and home defense. Length O/A 6.57", 6.32", 5.79"
Length O/A 6.5", 6.36", 5.47"
Length O/A 6.5", 5.9", 5.42"